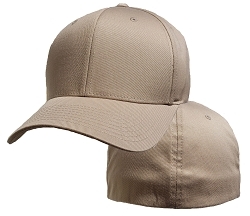 We are the official home of the largest FlexFit® Caps available. Made from a Spandex blend, both the crown and elastic band stretch for comfort. If you are over a size 8 choose the 4XL (3XL/4XL). 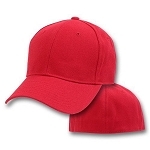 We carry two varieties of 4XL FlexFit® caps. 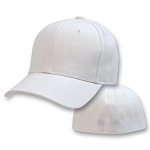 Regular FlexFit® caps are structured and made from a cotton, spandex blend. 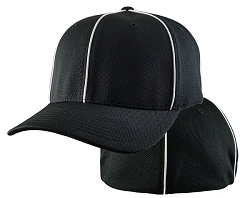 ProMesh caps are also structured, but have a slightly lower profile. 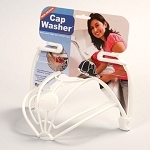 Great for keeping cool with a polyester, spandex blend and lots of ventilation. DELTA FlexFit caps run a bit bigger to our normal 4XL due to fabric. 4XL Fits 8 1/4 to 9. If under 8 1/4 you will need the 2XL.